Keck Observatory – The W. M. Keck Observatory consists of two 10-meter optical/infrared telescopes on the summit of Mauna Kea, Hawaii. The large aperture, state-of-the-art instruments, and the fantastic site provide exceptional spectroscopic sensitivity, allowing detailed study of the stars and interstellar media of distant galaxies as well as the intergalactic medium. 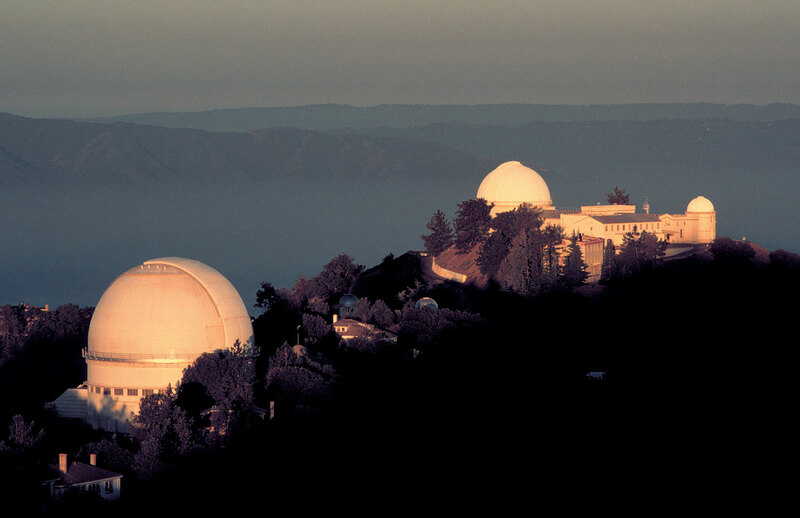 Lick Observatory – Lick Observatory, at Mt. Hamilton, has a number of telescopes including the Shane 3-meter and the Nickel 1-meter. Graduate students and postdocs can apply for time on these telescopes. It is often possible to get large time allocations for comprehensive, long term studies – ideal for graduate thesis work. Hubble Space Telescope – The Hubble Space Telescope provides the deepest, highest resolution imaging of distant galaxies. With dedicated deep surveys, HST can find the faintest, most distant galaxies, and study their morphologies. Spitzer Space Telescope – The Spitzer Space Telescope is an infrared telescope allowing us to probe galaxies whose light has shifted into the infrared. In addition, it allows us to analyze the emission from dust which has been heated by the ultraviolet light from stars and accreting black holes.